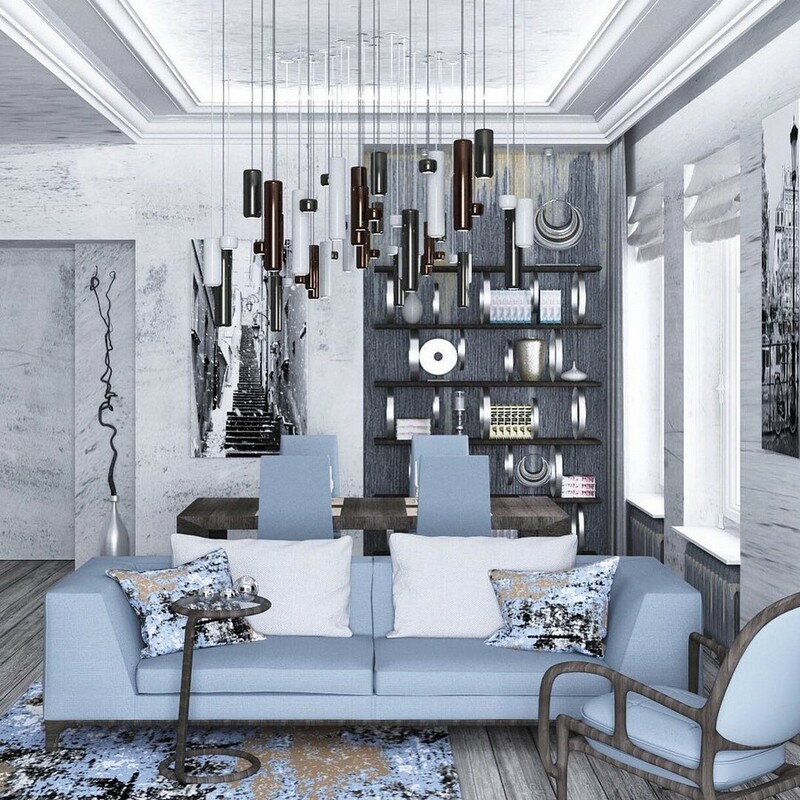 We continue our series of posts, in which we share the best and most relevant ideas and interior design projects from Instagram accounts of professional architects, designers and decorators. By tradition, we try to show you a range of versatile styles, finishes and color schemes. And today our focus will be on living rooms. It would be ridiculous to argue with the fact that art-deco style in its canon look is just gorgeous. But unfortunately, reproducing it with all its nuances and details is not always possible in terms of a typical city apartment. The authors of this project created their own interpretation of this elegant style and it seems to be pretty good. Classics never grow old. 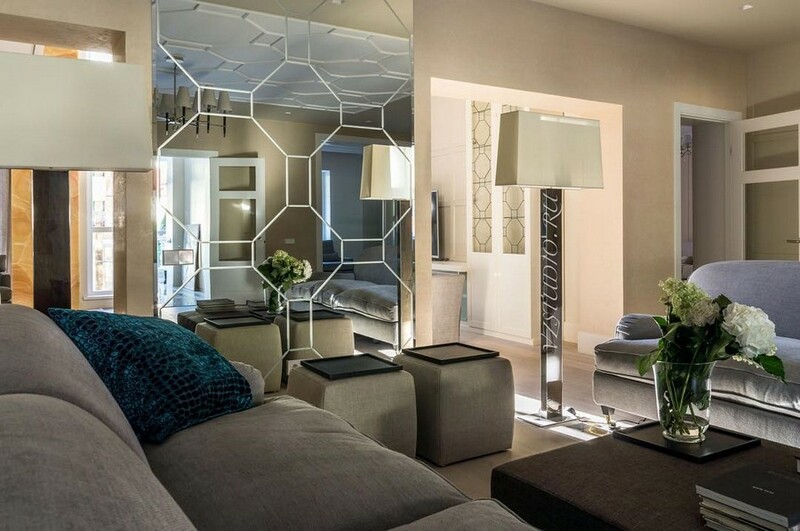 That is why gray-and-beige color palette would always be welcome in a living room, just like the mirrors. 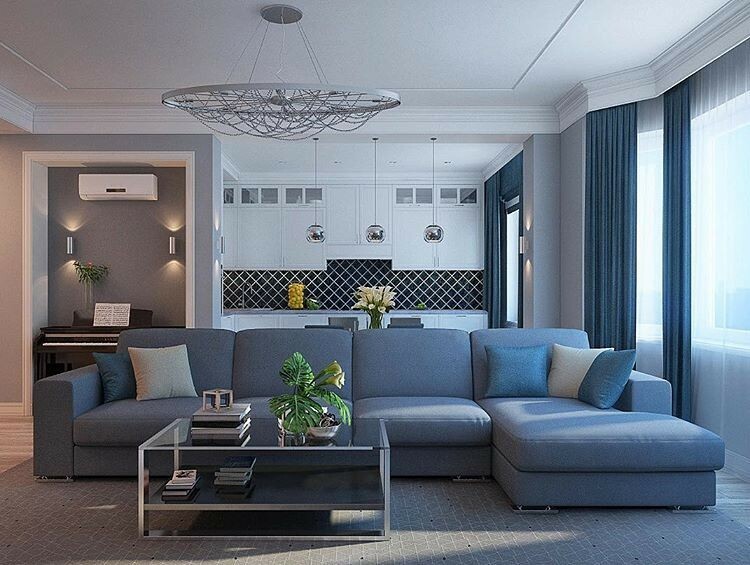 This living room interior is a mixture of styles. 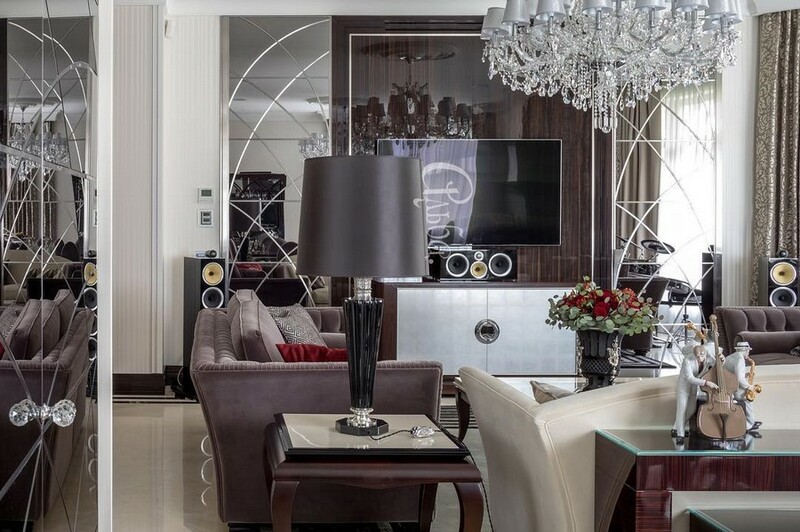 On looking closer you will find here motifs of contemporary, neo-classical and even art-deco styles. And the role of color accents and centerpieces was unexpectedly given to…ethnics – a couple of authentic Cameroon juju hats on the wall. 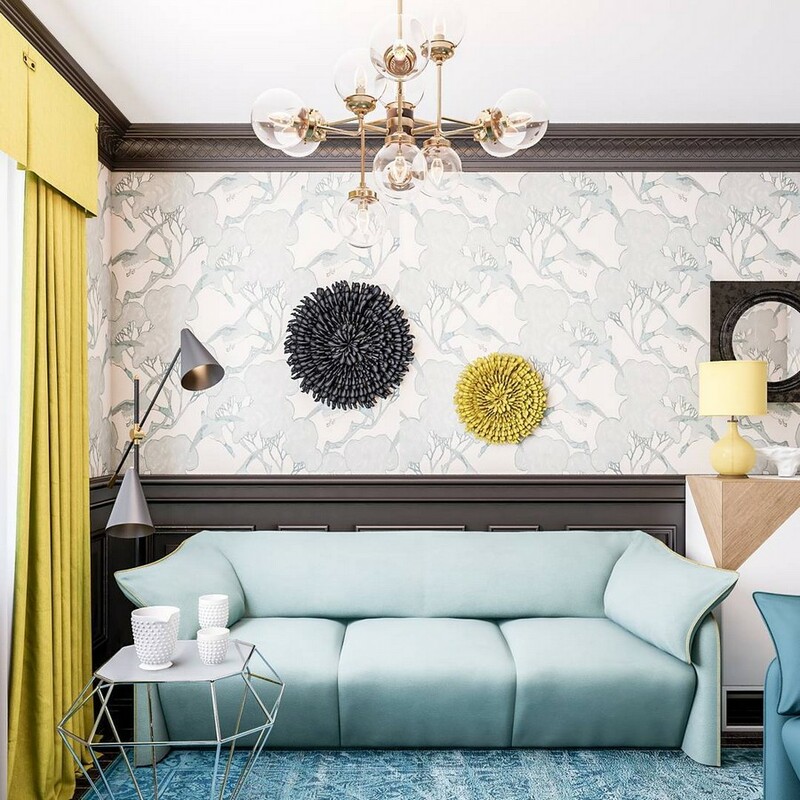 This monochrome lounge design project is a fruit of collaboration between a pro and pretty bold clients, who do not fear interior experiments. Just the number of suspended lamps alone is enough to understand it. By the way, there are 85 (!) suspends from this collection total in the entire flat. 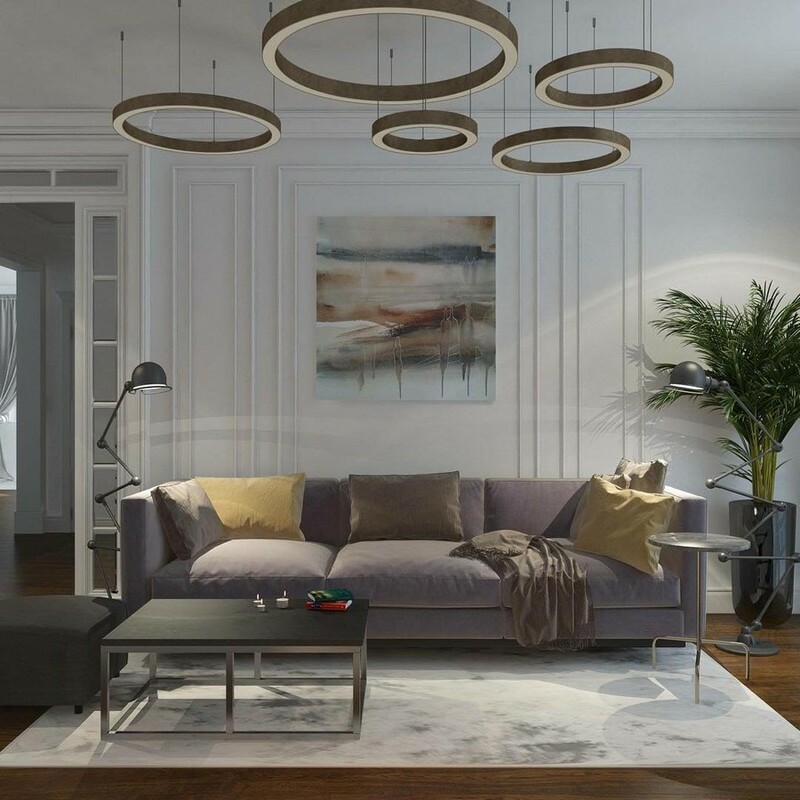 This is modern classics: earthy tones and a mixture of classical and modern geometrical shapes, which is crowned with a gorgeous set of lamps Light Ring Horizontal by Henge. 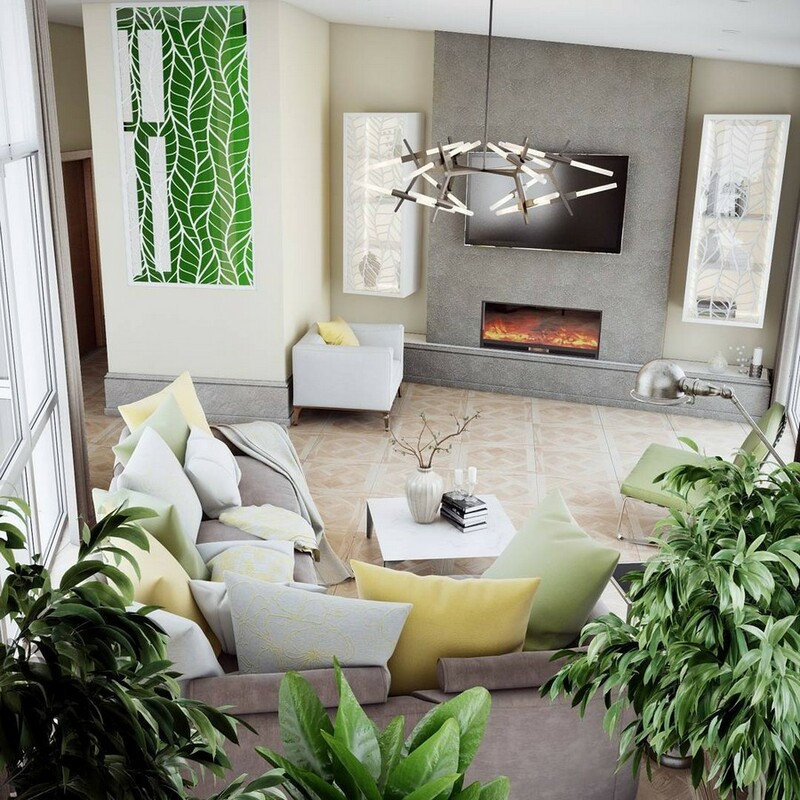 This open-concept living room interior looks very comfortable: everything is in its place, very natural and unostentatious. And such an airy and light feeling is a proof to the fact that every single details was scrupulously considered and thought-out. 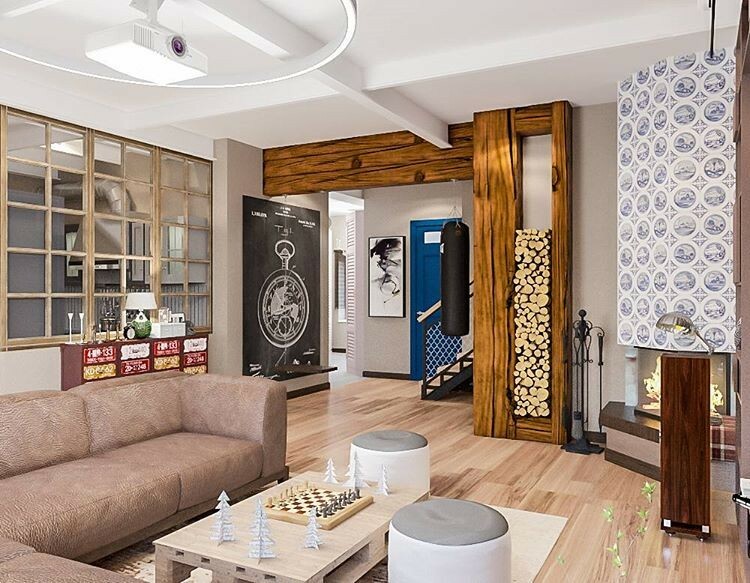 And now it’s high time to have a look at a countryside living room: located in an old house and meant for a big family, it appeared to be eclectic-style, with some loft motifs. And here is the embodiment of top-trend eco-style: naturalistic tones, plenty of greenery, natural materials and even the décor features floral motifs. 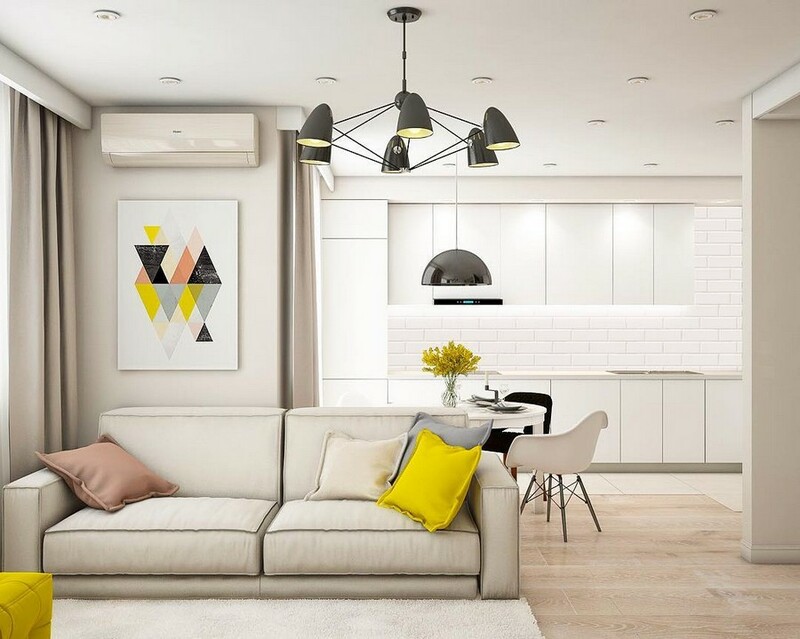 Those who like pure white, clear shapes and minimum of décor would definitely appreciate this open-concept lounge. 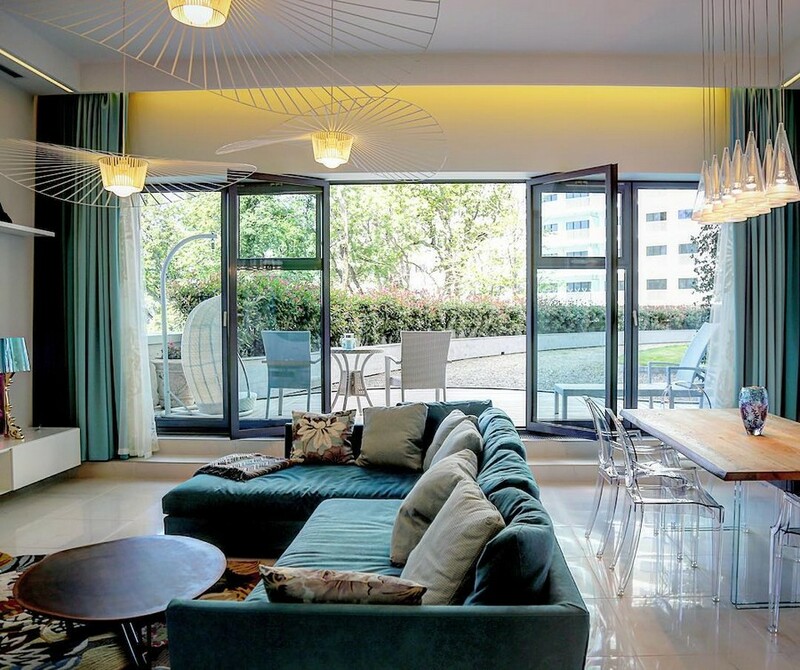 And we’re finishing our selection of living room interiors with the latest project finished in the city of Sochi: it’s gorgeous per se, but panoramic windows with a folding glass door and a private terrace exit make it even more fascinating.